"Harold Peary on Lux Radio: Show-off"
When Jim and Marian Jordan gave up the excitement of Vaudeville for the more settled life of radio performers they hired cartoonist Donald Quinn as a writer and found a formula that would keep America laughing for two and a half decades. 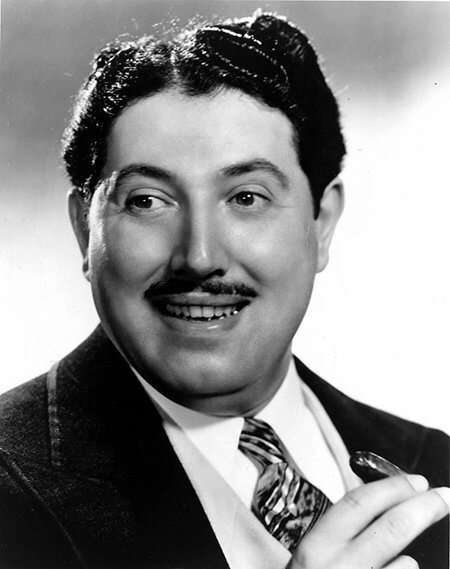 Throckmorton P. Gildersleeve was a perfect foil for America's favorite busy-body. Gildersleeve was the pompous industrialist who lived next door to #79 Wistful Vista and was constantly being deflated by Fibber's middle-class sensibility or more often his lack of sensibility. Don Quinn would have created the character, but it was actor Harold Peary who breathed life into him. Peary appeared as a few different Gildersleeve's before Throckmorton came along. There was the optometrist, Dr. Donald Gildersleeve, who helped Fibber deal with a blurry newspaper, and Dr. Wilberforce Gildersleeve who helped with Fibber's toothache. Throckmorton Philharmonic Gildersleeve would be Hal Peary's triumph on Fibber and Molly, and became his meal ticket for the rest of his career. 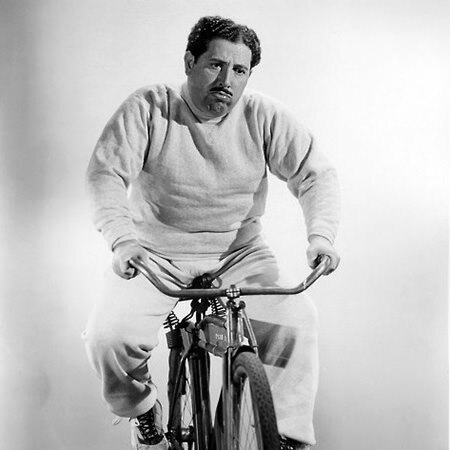 Gildersleeve was so popular that he became the first character to “spin off” of a situation comedy and get his own series. The Great Gildersleeve moved from Wistful Vista to Summerfield to raise his orphaned niece and nephew and eventually became the town water commissioner. Other than the character himself and a few references to “my dear old friend Fibber”, the two programs had little in common. Fibber was largely “gag driven” with just enough plot to hold the running gags together from week to week. Show creator Leonard Levinson and writer John Whedon fleshed out the new world of Summerfield and gave Peary a chance to do something that was missing from his days on Fibber and Molly, Gildersleeve got to sing. However, it was not a musical program, so Peary did not get to open his pipes as much as he wanted to. Feeling somewhat restricted, when the CBS “Talent Raid” came calling, Peary jumped at the chance for more creative freedom on the Tiffany Network. Peary owned a portion of the show, but final decisions were made by the sponsor. Kraft Foods felt they had a solid track record with NBC, and besides, there was another actor waiting in the wings, Willard Waterman, who could play Gildersleeve just as well or better than Peary. Or, at least Kraft and NBC hoped he could. The 1950 season started with Willard Waterman in the Great Man's role, but ratings began dropping almost immediately, and the show eventually folded. CBS and Peary found themselves without a program, so they created The Harold Peary Show aka Honest Harold. Other than changing the names of the characters and putting new actors from the CBS staff in their place, Honest Harold was an almost direct rip-off of Gildersleeve. The program only lasted through the 1950-51 season. Peary brought his Gildersleeve persona (if not the name) to TV commercials, and played Herb Woodley on TV's Blondie and went back to Wistful Vista as Mayor LaTrivia on the TV version of Fibber McGee and Molly. He also did voice work for Hanna-Barbera and Rankin-Bass. Two Stars on the Hollywood Walk of Fame honor Harold Peary, one at 1639 Vine Street for his work in Radio, and another at 1719 Vine Street for Television. Be the first to comment on "Harold Peary"